I hope that you've had a lovely weekend and well on the way in getting organised for Christmas. Thankfully we finished Christmas shopping for our relatives so we can miss the mad rush next week and enjoy the last week leading up to the big day. I am beyond excited! Anyway let's get back to why you're here. If you follow Mimi Rose & Me you will know that we are trying to launch a new series on the blog, Motherhood Mondays! If you would like to find out more or think that it's something you'd like to part in come and take a look at our first post in the series. 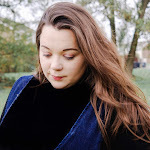 First up we have the lovely Katie Mulford from Mum of 2 Point 5 who is fairly new to the wonderful world that is blogging and is finding her feet with her fantastic blog and I am so excited that she wanted to get involved with our new blog series. A little more about Katie and her blog. My name is Katie and I am mum of 2.5 kids. Why 2.5 you ask? That's impossible right? Well, I have 2 kids plus a stepdaughter who is with us for half the time – hence the 2.5 kids! So that’s that part out of the way. Now to introduce my little monsters….. I mean darlings. My stepdaughter Lilian is 9 years old, my daughter Lois is 6 years old and our little man of the house Cody is 3 years old. Daddy to all 3 and my co-pilot on this crazy parenting adventure is Danny. As a family we love to get out and do things and visit places but with such a wide age range this can sometimes be tricky. I absolutely love this post from Katie because as she says being a parent is the hardest job in the world and it's not always fun and games. But we've all been there when little ones think is hilarious to push those boundaries, my daughter can be quite the madam when we are out and as much as it makes me feel bad I have to stand my ground with her, even with that smile of hers. Katie, you are most definitely not a horrible mum, you're doing an amazing job. I wrote this over the weekend then changed my mind about posting it as I was worried how people might take it. I think its important though to be realistic about life as a parent. It's not all plain sailing. Its not all fun and games. In fact sometimes its down right lousy and can leave you feeling like utter crap. Its important to realise that all Mums have been through it at some point and we all need to support each other and make it ok for people to be open and honest about how hard it can sometimes be. So here goes…..
Today I have been a horrible Mum. I’m not proud of it. In fact I feel heartbroken. Today has been one of those days where my darling beautiful son has driven me (and half of Ikea) to the brink of insanity. Today he is tired after an exciting sleepover at Auntie’s house last night. Today he is grouchy as he is full of cold and my God hasn’t he let everyone know about it. We walked into Ikea and within moments it began. I’m looking for our number to be called at the customer service desks. As I glance round, all of the cushions from the waiting area benches have suddenly vanished. “That boy has taken all the cushions” I hear a small child say to his Mum. That boy was my boy. After a wrestling match that WWE fans would have been proud of, I finally manage to return the cushions to their benches and rapidly remove ‘that boy’ from the area. We head over to the touch screens to search for the items we are hoping to purchase. Only every time we get close, a little finger appears from nowhere and taps randomly over the screen sending our product search all over the place. Not just once. Oh no. This has become too good a game. Picking him up I hold him in a vice grip so he can’t reach the screen and he screeches at the top of his voice for all to hear. And I look like a horrible Mum. Product search abandoned. Let’s get some food. Stood in the queue for hot dogs and meatballs to keep us going on our trek round the Ikea showrooms, he spots the doughnuts. I say no he can’t have one. And he screams. I am a horrible Mum. He screams and cries for the next 25 minutes while we try to eat until I abandon him with Daddy and go back to the queue (which by now is half a mile long ) to get a drink. I’d have preferred something stronger but coca cola will have to do. I go back to the table and he’s whinging that he doesn’t want his hotdog. Daddy takes a bite and suddenly he’s screaming because he wanted that hotdog. “There’s space in the crèche?” I say hopefully. I am a horrible Mum. “No he’ll be fine.” Famous last words. We head up to the show rooms and the real fun begins. So many things to touch, so many places to run, so many places to hide. We hand out stern warnings in that ‘don’t frickin mess with me’ voice saved for public areas when you really are ready to lose it but try desperately to hold it together and look like you are in control. And then I said it. “That’s it. Enough is enough. You’re not going to your friend’s birthday party this afternoon”. I am a horrible Mum. I am a horrible mum because he has been so excited about that party. And his little friend has been so excited about him coming to her party. And I feel awful. I am a horrible Mum but I have to make a stand. Amid hysterical tears and tantrums we pay and leave as quickly as possible (much to the relief of the Ikea staff I am sure) and get in the car. He falls asleep. I knew he was tired. I am such a horrible Mum. He sleeps all the way home and I message the birthday girl’s mum to let her know we wont make it. He is too tired and grumpy. I am a horrible Mum. At dinner he’s perked up and seems in a better mood but the devil is in him once again. He sits swinging his legs and repeatedly kicking the chair next to him. I ask him politely to stop and he does. For a second. Then he grins and carries on. I tell him again to stop. He doesn’t. I warn him there will be no pudding unless he stops. He doesn't. “Right, no pudding.” More screaming. You see its not just any pudding. It’s the apple crumble made by his big sister that they’ve been so looking forward to trying and his favourite custard. But I don’t give in. We eat our pudding and ignore his screams. I am a horrible Mum. Thank you so much for taking part Katie! And you my lovely readers don't forget to check out Katie's blog and follow her on her social media platforms.